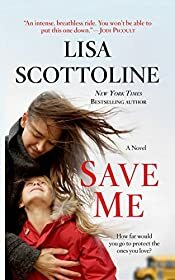 MystereBooks is pleased to feature Save Me by Lisa Scottoline, now available at a special price, courtesy of the publisher, St. Martin's Press. The ebook format of this title was priced at $2.99 from the listed vendors (below) as of the date and time of this post (02/28/2013 at 12:00 AM ET). Prices are subject to change without notice. The price displayed on the vendor website at the time of purchase will be the price paid for the book. Please confirm the price of the book before completing your transaction. Rose McKenna volunteers as a lunch mom in her daughter Melly's school in order to keep an eye on Amanda, a mean girl who's been bullying her daughter. Her fears come true when the bullying begins, sending Melly to the bathroom in tears. Just as Rose is about to follow after her daughter, a massive explosion goes off in the kitchen, sending the room into chaos. Rose finds herself faced with the horrifying decision of whether or not to run to the bathroom to rescue her daughter or usher Amanda to safety. She believes she has accomplished both, only to discover that Amanda, for an unknown reason, ran back into the school once out of Rose's sight. In an instant, Rose goes from hero to villain as the small community blames Amanda's injuries on her. In the days that follow, Rose's life starts to fall to pieces, Amanda's mother decides to sue, her marriage is put to the test, and worse, when her daughter returns to school, the bullying only intensifies. Rose must take matters into her own hands and get down to the truth of what really happened that fateful day in order to save herself, her marriage and her family. 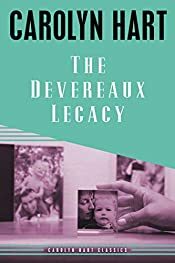 The Devereaux Legacy by Carolyn Hart. Publisher synopsis: Leah Devereaux is a dead woman. At least, that's what the folks now running the Devereaux plantation tell her: Leah has been presumed dead for nineteen years — since the day that both her parents died. Leah, very much alive, has returned to South Carolina to uncover the untold story of her parents' deaths. While some, like her adopted cousin Merrick, welcome her, Cissy and John Edward tell her to stay away, tell her to stop meddling in secrets long kept. 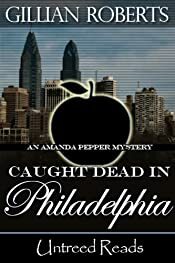 MystereBooks is pleased to feature Caught Dead in Philadelphia by Gillian Roberts, now available at a special price, courtesy of the publisher, Untreed Reads. The ebook format of this title was priced at $0.99 from the listed vendors (below) as of the date and time of this post (02/28/2013 at 12:00 PM ET). Prices are subject to change without notice. The price displayed on the vendor website at the time of purchase will be the price paid for the book. Please confirm the price of the book before completing your transaction. First published by Scribner in 1987, this mystery was the winner of the 1988 Anthony Award for Best First Novel. When the body of a colleague is found dead in Amanda's living room, she has to clear herself of suspicion — and make sure she isn't the next victim as well. And all she's got as a clue to the real killer's identity is a locket shaped like Winnie-the-Pooh. We are delighted to welcome novelist Douglas W. Jacobson as our guest. 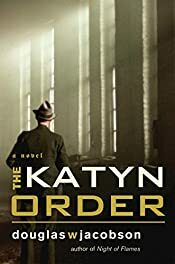 Doug's most recent novel is the historical mystery thriller The Katyn Order (McBooks Press, May 2011 hardcover, trade paperback, and ebook formats). Today Doug tells us how to make characters believable. Natalie Jastrow was a stunningly beautiful woman. She was also brilliant and filled with self-confidence to the point of being headstrong. Yet she had trouble with relationships and self-doubts about how she fit into society. She could be cool and calm under duress, yet had serious lapses of judgment when making critical decisions. When Herman Wouk created this unforgettable heroine of War and Remembrance he gave us a character we cared about from the very first page of this epic novel until the last. And, because of that, we cared about his story. That is the fundamental goal for anyone writing fiction — make the readers care about your characters. If they care about your characters, they will care about your story. So, what is it about characters like Natalie Jastrow, Scarlett O'Hara, Atticus Finch or Sherlock Holmes that make them so memorable? It is because they are believable. They are as real as our best friends, our sisters or brothers. They have personality flaws and quirks, and they don't always act in a predictable way. They can at times be bold and courageous, and at other times hesitant and filled with self-doubt. Just like we are. They are not supermen … they are real people. My first book was Night of Flames. After it was released in 2007, many readers contacted me to tell how much they enjoyed the character of Anna Kopernik. It was through her that they experienced and understood the courage of ordinary people in Poland during WW2. The ironic thing about that is that she was not even on my mind when I started writing the story. She just evolved along the way and before long she became my dominant character, the person I cared about the most. When I was writing The Katyn Order, a mystery thriller, I wanted readers to understand what it was like to have everything and everyone you care about be suddenly and brutally torn away. I wanted the readers to experience the terror of not knowing who to trust, and not knowing if you would survive another day. Would you be able to carry on? Or would you be filled with hate and a quest for vengeance? And, if you were ever given a chance for redemption, could you rise above your inner demons and seize the moment? Natalia Kowalska and Adam Nowak evolved into those characters as I wrote the story. Many readers have told me they couldn't put the book down once they started. So, I guess they cared about Natalia and Adam. As a writer, that is the measure of success. Douglas W. Jacobson is an engineer, a business owner, and a World War II history enthusiast. In addition to The Katyn Order, he is the author of Night of Flames, which won the 2007 Outstanding Achievement award from the Wisconsin Library Association. He lives in Elm Grove, Wisconsin. Learn more about the author and his books on his website, DouglasWJacobson.com. The German war machine is in retreat as the Russians advance. In Warsaw, Resistance fighters rise up against their Nazi occupiers, but the Germans retaliate, ruthlessly leveling the once-beautiful city. American Adam Nowak has been dropped into Poland by British intelligence as an assassin and Resistance fighter. During the Warsaw Uprising he meets Natalia, a covert operative who has lost everything — just as he has. Amid the Allied power struggle left by Germany's defeat, Adam and Natalia join in a desperate hunt for the 1940 Soviet order authorizing the murders of 20,000 Polish army officers and civilians. If they can find the Katyn Order before the Russians do, they just might change the fate of Poland. MystereBooks is pleased to feature Back on Murder by J. 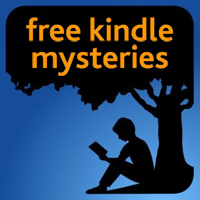 Mark Bertrand as today's third free mystery ebook (Kindle and Kobo formats). This title was listed for free as of the date and time of this post, February 28, 2013 at 7:30 AM ET. Prices are subject to change without notice. The price displayed on the vendor website at the time of purchase will be the price paid for the book. Please confirm the price of the book before completing your transaction. Det. Roland March is a homicide cop on his way out. But when he's the only one at a crime scene to find evidence of a missing female victim, he's given one last chance to prove himself. Before he can crack the case, he's transferred to a new one that has grabbed the spotlight — the disappearance of a famous Houston evangelist's teen daughter. MystereBooks is pleased to feature The Judas Line by Mark Everett Stone as today's second free mystery ebook (Kindle format only). 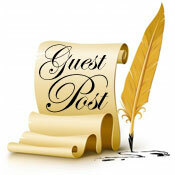 This title was listed for free as of the date and time of this post, February 28, 2013 at 7:20 AM ET. Prices are subject to change without notice. The price displayed on the vendor website at the time of purchase will be the price paid for the book. Please confirm the price of the book before completing your transaction. Jude Oliver hails from a long line of assassins. Tired of his family's treachery and wanting more from life than power, he escapes with their secret weapon, the Silver — an ancient artifact so potent, so evil, that it could plunge mankind into a permanent state of ruin and despair. After fifteen years on the run, Jude receives a surprise visit from a cousin who planned to murder him to obtain the family treasure. So begins Jude's desperate quest to find another artifact powerful enough to destroy the Silver. His traveling companion is an unlikely friend, Mike Engle — a Catholic priest who found his calling on the brutal sands of Iraq. In the course of their journey, the two men clash with evil in many forms. Mike learns the details of Jude's incredible history and the family secret that reaches back 2,000 years. Before their final, earth-shattering battle, the duo will find surprising allies and the strength to carry on against seemingly insurmountable odds. Will the lessons Jude has learned about love, friendship and sacrifice be enough save him from his family and his destiny? MystereBooks is pleased to feature Origin by J. 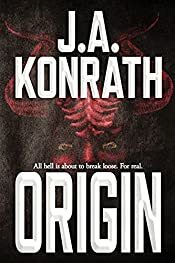 A. Konrath as today's free mystery ebook (A TechnoThriller; Kindle format only). This title was listed for free as of the date and time of this post, February 28, 2013 at 7:10 AM ET. Prices are subject to change without notice. The price displayed on the vendor website at the time of purchase will be the price paid for the book. Please confirm the price of the book before completing your transaction. 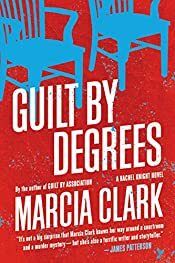 MystereBooks is pleased to feature Guilt by Degrees by Marcia Clark as today's Amazon Kindle Daily Deal. The deal price of $1.99 is valid only for today, Thursday, February 28, 2013. Someone has been watching D.A. Rachel Knight — someone who's Rachel's equal in brains, but with more malicious intentions. It began when a near-impossible case fell into Rachel's lap, the suspectless homicide of a homeless man. In the face of courthouse backbiting and a gauzy web of clues, Rachel is determined to deliver justice. She's got back-up: tough-as-nails Detective Bailey Keller. As Rachel and Bailey stir things up, they're shocked to uncover a connection with the vicious murder of an LAPD cop a year earlier. Something tells Rachel someone knows the truth, someone who'd kill to keep it secret. FX Networks has renewed Archer for a fifth season of 13 episodes. "Archer is one of the very best comedy series on television," said Nick Grad, Executive Vice President of Original Programming and Development, FX. "It is truly rewarding the way in which the audience and fans have embraced their work and that the ratings continue to grow." The fourth season of the animated spy series is currently airing on Thursdays at 10 PM (ET/PT). Holy Smoke by Frederick Ramsay. The Jerusalem Mysteries. Publisher synopsis: The year is 29 C. E. and Jerusalem chafes under the Roman Empire's continued presence and oppressive rule. But in spite of that unpleasant fact of life, life goes on — but not for everyone. People die, some because it is their time, others by misadventure. One death in particular brings the City's daily routine to a halt. A badly scorched body is found behind the veil of The Holy of Holies — the Temple's inner sanctum, the most sacred space on earth for the Jews. No one except the High Priest may enter this place and he only once a year on the Day of Atonement. This is no casual violation and the authorities are in an uproar. 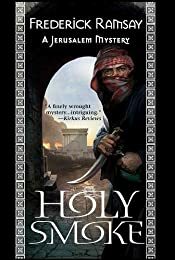 Gamaliel, the Rabban of the Sanhedrin, the ranking rabbi in all of Judea, finds himself drawn into solving this delicate mystery while dark agents with unholy interests, plot to seize control of much of the trade in certain highly profitable imports from the east and west. Loukas, the physician, plays "Watson" to Gamaliel's "Sherlock" as the tangled web of intrigue and murder is slowly unraveled, but not before more bodies, both literal and figurative pop up. All the while Yeshua, the radical rabbi from the Galilee, continues to annoy the High Priest and smoke, Holy Smoke, from the sacrifices rise from the Temple. MystereBooks is pleased to feature Roman Games by Bruce Macbain, now available at a special price, courtesy of the publisher, Poisoned Pen Press. The ebook format of this title was priced at $0.99 from the listed vendors (below) as of the date and time of this post (02/27/2013 at 5:00 PM ET). Prices are subject to change without notice. The price displayed on the vendor website at the time of purchase will be the price paid for the book. Please confirm the price of the book before completing your transaction. Rome: September, 96 AD. When the body of Sextus Verpa, a notorious senatorial informer and libertine, is found stabbed to death in his bedroom, his slaves are suspected. Plinius "Pliny" Secundus is ordered by the emperor Domitian to investigate. However, the "Ludi Romani", the Roman Games, have just begun and for the next fifteen days the law courts are in recess. If Pliny can't identify the murderer in that time, Verpa's entire slave household will be burned alive in the arena. Pliny, a very respectable young senator and lawyer, teams up with Martial, a starving author of bawdy verses and denizen of the Roman demimonde. Pooling their respective talents, they unravel a plot that involves Jewish and Christian "atheists", exotic Egyptian cultists, and a missing horoscope that forecasts the emperor's death. Their investigation leads them into the heart of the palace, where no one is safe from the paranoid emperor. As the deadline approaches, Pliny struggles with the painful dilemma of a good man who is forced to serve a brutal regime. 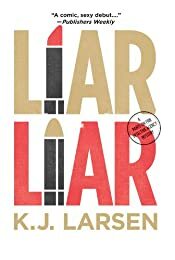 MystereBooks is pleased to feature Liar, Liar by K. J. Larsen, now available at a special price, courtesy of the publisher, Poisoned Pen Press. The ebook format of this title was priced at $0.99 from the listed vendors (below) as of the date and time of this post (02/27/2013 at 4:30 PM ET). Prices are subject to change without notice. The price displayed on the vendor website at the time of purchase will be the price paid for the book. Please confirm the price of the book before completing your transaction. Burned by her run-around ex-husband Johnnie Ricco, Caterina DeLuca took the skills she mastered during marriage and opened her own private eye agency. Now she's a second-story woman, armed with a camera, ready to print 8x10 glossies for use in divorce court. The men in her big, whacko family, all Chicago cops — one a crook — aren't sure what to make of Cat's career choice. But hey, it's serve and protect! Then one Rita Polansky retains Cat. Rita's liar-liar husband is the mysterious, but seriously hot, Chance Savino. Cat is hot on his heels when an exploding building hurls her out of her stilettos and into the hospital. The FBI claims Chance was killed in the fireworks, but concussed Cat remembers a different scenario. She escapes the hospital to meet with her client. But when Rita doesn't show, Cat breaks into her home to find Rita with a knife in her chest and two clues at the murder scene: a clutch of candy wrappers and Chance Savino, rummaging through Rita's drawers. One surprise after another piles up. As no one else sights Savino, everyone around Cat thinks she's crazy. Everyone except a determined killer who has put her on his "kill" list.